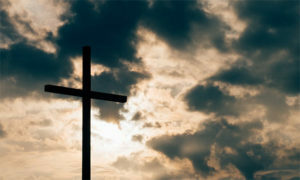 ECHOLS, Ky. —Samuel E. “Just Sam” Shaver, 83, of Echols, Kentucky went home to be with his Lord and Savior on Sunday, Feb. 3, 2019, at Owensboro Health Regional Hospital. He was born Dec. 13, 1935, in Echols, to the late Mabel I. Shaver Bailey. Mr. Shaver retired from Cargill and was a devoted member of Echols Daystar Church of God. He served in the United States Army. Aside from his mother, he was preceded in death by his aunt, Eva “Shady” Shaver. He leaves behind to cherish his memory his wife of 57 years, Betty Shaver, of Echols; his children, Deana (Alex) Orsag, of Highland, Indiana, and Brian (Debbie) Shaver, of Highland, Indiana; and one sister, Ginni Latham, of Bartlett, Illinois. Sam was blessed with five grandchildren, Danny (Terra), Matt (Hannah), Eason, Clay and Jalyne. Funeral services will be held at 11 a.m. Thursday, Feb. 7, at Echols Daystar Church of God, 5508 State Route 1245, Beaver Dam, Kentucky, with Brian Shaver and Pastor Todd Claypoole officiating. Burial will follow in Echols Cemetery in Echols, Kentucky. Friends may visit with Sam’s family from 4 p.m. until 8 p.m. Wednesday at William L. Danks Funeral Home and from 10 a.m. until the time of the service Thursday at Echols Daystar Church of God. Online condolences may be left for the family of Samuel E. Shaver by visiting his memorial tribute at www.danksfuneralhome.com.